We're surrounded by smart technology that's designed to make our lives easier. So why shouldn't our homes get in on the game? It's easier than ever to bring smart, connected technology into your home with the help of something you already own — your smartphone. If you're looking to get a start building your own smart home, here are five pieces of smart tech that will help monitor and manage your home with the aid of phone apps for easy control. A smart thermostat lets you control the temperature of your home from afar using your smartphone and could even help save you money by cutting energy costs. 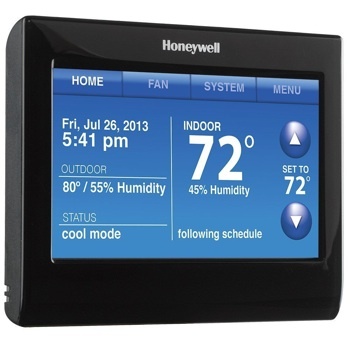 The Honeywell Smart Thermostat with Voice Control is a basic programmable thermostat that features a large touchscreen display instead of the standard buttons or dials. The Honeywell also has voice controls, so you can tell it "make it warmer" — even from across the room — and it will adjust the temperature accordingly. And, of course, it's connected you home network over Wi-Fi, so you can control it using your computer or smartphone. Not what you're looking for? Then check out the Nest Learning Thermostat, a smart thermostat without voice controls that focuses instead on helping you save energy. 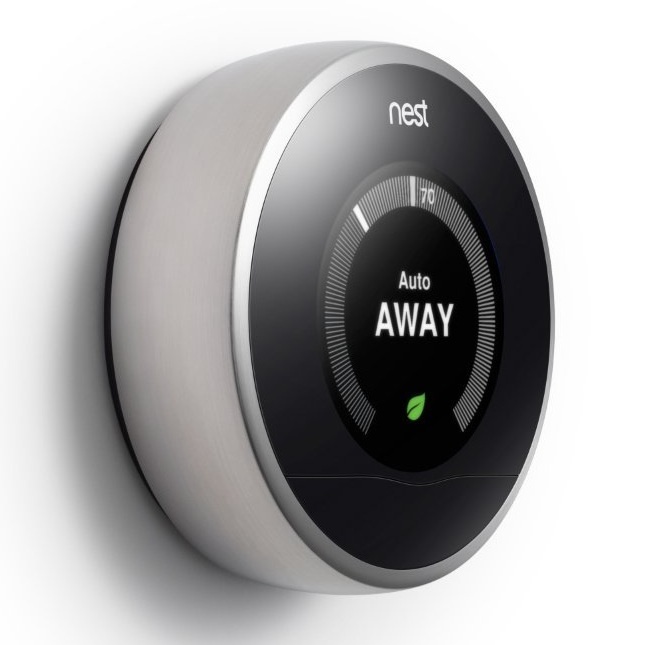 The Nest can tell when you're not home, so it turns the cooling or heat down to save you some cash. The Nest also aims to keep your home just the right temperature for you, so it remembers your temperature adjustments and tweaks its temperature program accordingly. You probably already have smoke detectors in your home, but newer detectors do the job more intelligently. For example, who enjoys dealing with a smoke detector's false alarm after burning something in the kitchen? With the Nest Protect Smoke and CO detector, all you have to do to turn the alarm off is wave a hand under it. And the Protect has even more smarts: Instead of simply blaring an alarm, it speaks in a human voice to tell you where and what the problem is so you can address it. 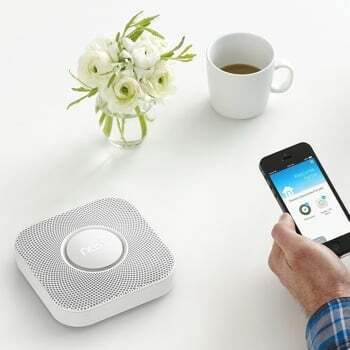 It can also communicate with other Nest Protects and your Nest Thermostat, which will shut off a gas furnace if the Protect senses a carbon monoxide leak. 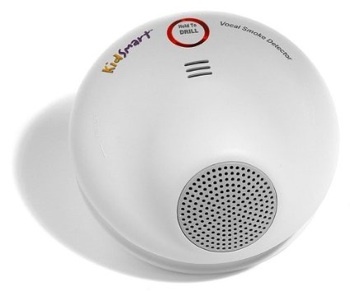 If you have children (especially young children), you may be interested in the KidSmart Vocal Smoke Alarm. It's not as smart as the Nest, but it aims to address a major problem with smoke detectors and children, who often aren't immediately roused by a loud alarm. KidSmart says two out of three children will sleep through a traditional smoke detector's alarm, while a child will wake to the sound of a parent's voice 96% of the time. So the KidSmart lets you record a message to wake your child and tell them what to do in case of a fire — a simple but effective step toward better fire safety. A standard home security system usually includes a complicated installation process and monthly monitoring fees to boot. But modern smart systems are all about easy installation and self-monitoring, alerting your smartphone if the system detects a problem. The iSmartAlarm system is modular, letting you buy the pieces you need in order to put together the perfect system for your home. You'll need a CubeOne, which is the brain of the system, and then you can add sensors for doors and windows, cameras, motion detectors and remote control keyfobs. If any alarms come up, you'll get an alert on your phone, and you can see what's happening through the app in order to respond appropriately. You can also use iSmartAlarm to see if your family is home — even when you're working late — and check that all of the doors and windows are closed and locked before heading to bed. If the multi-part iSmartAlarm system seems like too much, Piper is a single piece of equipment that you set up in your home to keep an eye on things. 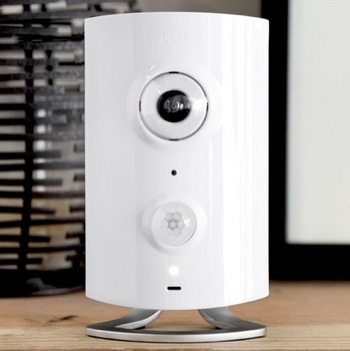 It warns you if there's motion or a loud noise and lets you see photos or video of what's happening at home when you're away. Additionally, Piper works with Z-Wave-enabled electronics like this power outlet and door sensor, which it can monitor and control for additional security and automation options. If you want a simple system, pick up Piper by itself, but if you want something more robust, look for the right Z-wave accessories to customize your perfect automation system. If you want control of your door beyond notifications of when it opens or closes, Kevo is the answer. 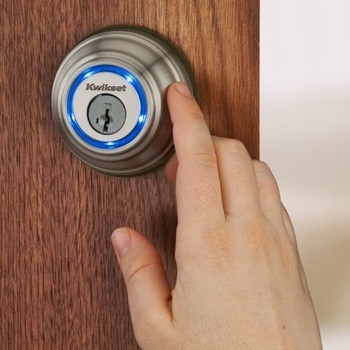 With Kevo, you just need your smartphone or an included keyfob to open your door. Simply walk up to the door with your smartphone or keyfob in your pocket or purse and touch the lock. It's a little bit like magic, but it's really Bluetooth technology. Kevo is as easy to install as a standard door lock and once it's set up, you can grant access to any number of smartphones, even remotely allowing access to friends or family via email. And with the Kevo app (iPhone only right now) and web portal, you can track who has access and see who's come and gone. 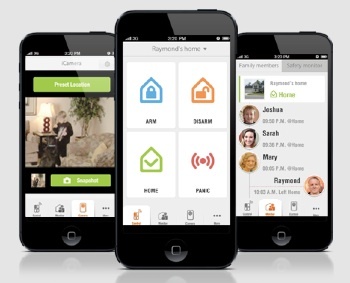 Monitoring your home was never so easy. Smart tech can also control a variety of home appliances. With the Belkin WeMo Outlet and Light Switch, you can control what's on and off at any time. 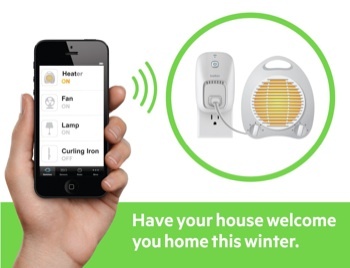 Using the WeMo app, you can turn lights or appliances on and off as well as schedule them to turn them on or off at specific times. You can even configure lights — for example, the porch light — to turn on at sunset and off again at sunrise. The end result? A home that's always lit up and powered on when you pull into the driveway. If you need more than three bulbs, you can buy additional LED bulbs — make sure they're Connected by TCP to work with your system — for just $17. The starter pack is pricey at $110, but bear in mind that these LED bulbs have a lifespan of 22 years, so you're not going to have to worry about replacing them for a while. Considering how simple these smart systems are to set up and install, you've got no excuses not to include smart technology in your home. Get smart and save money all at the same time.